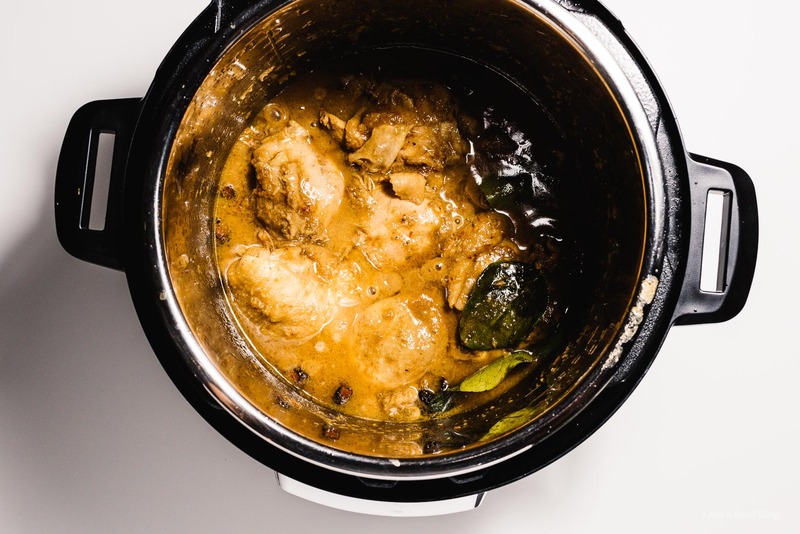 No crispy skinned chicken in this Instant Pot version of classic chicken rendang, an Indonesian/Malaysian flavorful spicy coconut stew. 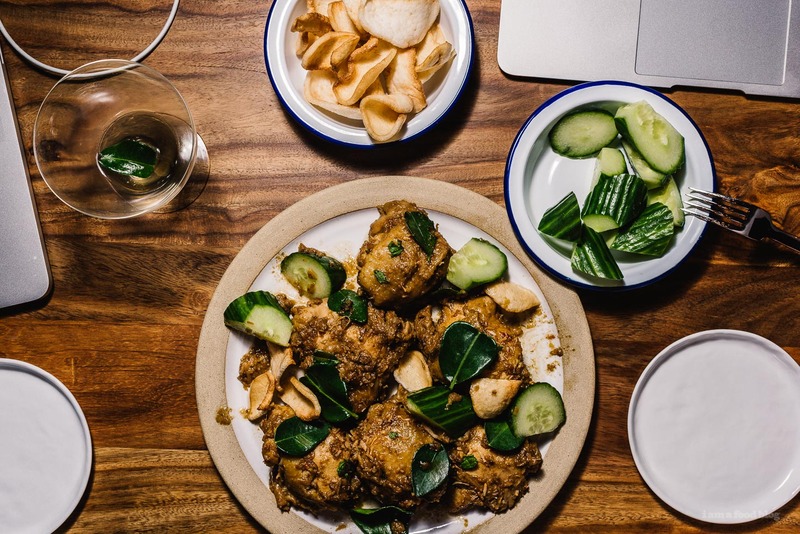 Anyway, chicken skin non-crispiness aside, chicken rendang is really, really good. Saucy but not too saucy, stewy, and tender. 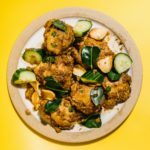 Chicken rendang is one of those dishes that you’ll want to eat again and again, especially with rice. Rendang was always a treat growing up because my mom never made it for us at home. She claimed that it took too long to pound everything together to make the paste. This coming from the woman who would love to make hundreds of curry chicken puffs, for fun. I don’t know why she didn’t just use a food processor, which is exactly what I did here. I went the very non-traditional route with both a food processor and an Instant Pot because, well Instant Pot. You shave off hours of cooking and end up with a quick and easy chicken dinner. I served it up with some refreshing chunks of cucumber and crunchy freshly fried shrimp chips. We would have had rice too but we’re on a low-carb kick, so that was out. The chicken was super tender and juicy and the sauce was wonderful. Rendang lovers unite! PS – It was definitely irking what happened on MasterChef UK. There are definitely questions around authenticity, food values, and who can and should judge food. To be honest, the whole thing made me laugh but also made me feel a bit icky. PPS – What are your thoughts on crispy vs non-crispy chicken skin? 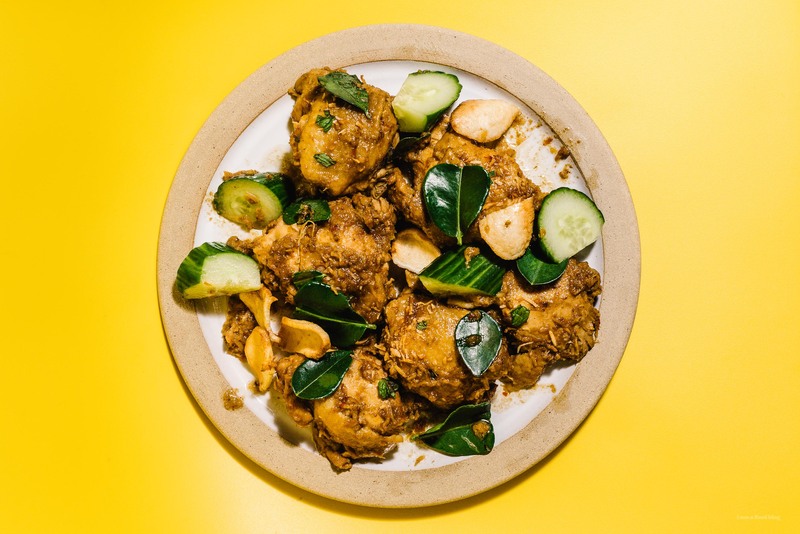 I’m totally down with tender chicken skin, like on Hainanese chicken, soy sauce chicken, or chicken skins in curries. Blend together all of the paste ingredients until smooth. With the Instant Pot in Sear/Sauté mode on high, heat the oil in the insert. When the oil is hot, add the blended paste ingredients and fry, stirring, until fragrant, about 2-3 minutes. 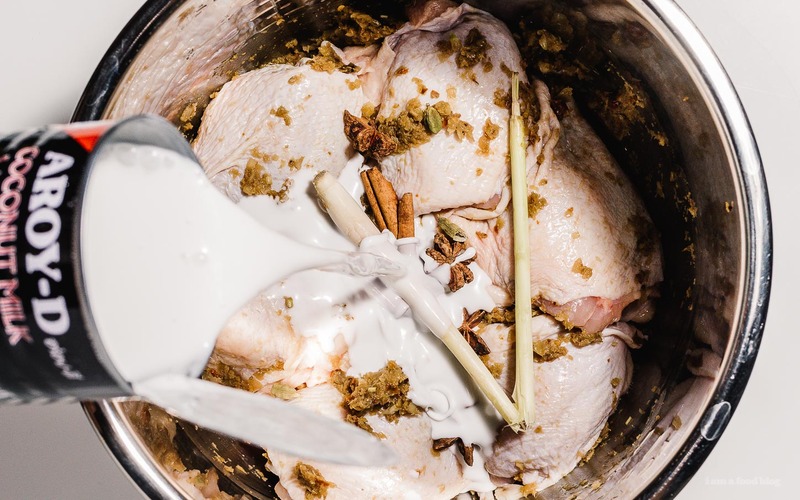 Stir in the coconut milk, cardamom, star anise, cinnamon, and lemongrass until mixed well. Nestle in the chicken. Put the lid on, set the pressure to high and cook time to 15 minutes. 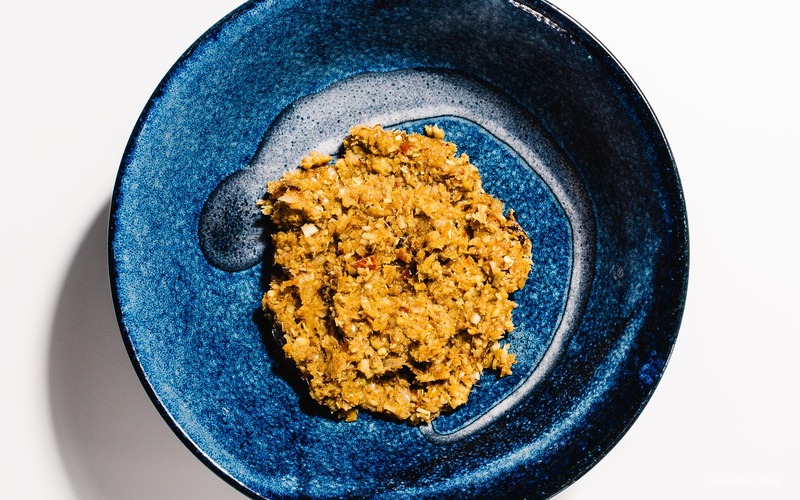 While the rendang is cooking, lightly toast the shredded coconut in a dry pan over medium to medium low heat, stirring often, until golden brown. Remove from the pan and let cool. Quick release when the cooking time is completed. Stir in the lime leaves, coconut, sugar, and salt to taste. Turn the Instant Pot to High on Sauté and reduce the sauce, stirring often, for about 5 minutes. Enjoy warm. Note: If you can’t find galangal, you can skip out on it or add a touch more ginger instead. This sounds delicious! I need to get on the instant pot band wagon!